This article is about the battle of 1805. 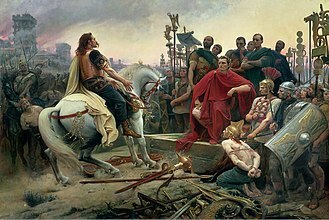 For other battles, see Battle of Caldiero (disambiguation). The Battle of Caldiero took place on 30 October 1805, pitting the French Armée d'Italie under Marshal André Masséna against an Austrian army under the command of Archduke Charles, Duke of Teschen. The French engaged only a part of their forces, around 33,000 men, whilst Archduke Charles engaged the bulk of his army, 49,000 men, leaving out Paul Davidovich's corps to defend the lower Adige and Franz Seraph of Orsini-Rosenberg's corps to cover the Austrian right against any flanking maneuvers. The fighting took place at Caldiero, 15 kilometres east of Verona, in the War of the Third Coalition, part of the Napoleonic Wars. 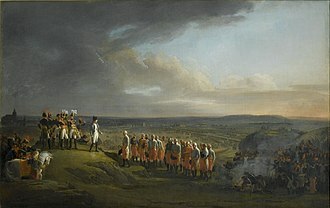 By mid October, Marshal André Masséna, a seasoned French general, who had fought the Austrians in Lombardia before during the campaign of 1796–1797, was waiting for developments on the main theatre of operations in Bavaria. On 18 October, Masséna won a bridgehead on the east bank of the Adige River in the Battle of Verona. At dawn, the French launched their attack from Verona against Josef Philipp Vukassovich's division. After heavy fighting, the divisions of Guillaume Philibert Duhesme and Gaspard Amédée Gardanne cleared the town of San Giorgio and part of the heights of Veronetta. The French lost 77 dead and 246 wounded, while the Austrians suffered 246 killed and 906 wounded. Archduke Charles was so unhappy with Vukassovich's performance that he replaced him with Franz Seraph of Orsini-Rosenberg. News that Emperor Napoleon I demolished the main Austrian army in the Ulm Campaign finally reached Masséna on 28 October and he issued orders for an immediate offensive against the Austrian army in northern Italy. Crossing the Adige river with the divisions of Duhesme, Gardanne, and Gabriel Jean Joseph Molitor and leaving behind Jean Mathieu Seras' division to cover Verona, Masséna planned to move forward into Austrian-controlled territory. The fighting on 29 October is considered by one historian to be part of the Battle of Caldiero. On that day, the divisions of Duhesme and Gardanne advanced on the left against Rosenberg, while Molitor's and Louis Partouneaux's divisions moved forward against the town of Veronetta. Seeing a mass of French troops approaching, the Austrians abandoned Veronetta and fell back to San Michele. The French mauled Rosenberg's division and forced Johann Maria Philipp Frimont out of San Michele after street fighting. By the end of the day, Masséna's troops closed up to the main defense line of Archduke Charles. The French counted losses of 527 killed and wounded, plus 157 captured. Again, Austrian casualties were heavier, numbering 1,926 killed and wounded, with 1,114 prisoners. Archduke Charles of Austria-Teschen, himself acutely aware of the dire consequences of the fall of Ulm, was planning to move towards Vienna, in order to reinforce the remains of the Austrian army and link up with the Russians. However, in order to avoid having Masséna's men on his heels, he decided to suddenly turn and face the French, hoping that by defeating them he would ensure the success of his march towards inner Austria. Archduke Charles had already made preparations for a French attack, occupying the strategic village of Caldiero, through which passed the main Lombardian road ('the Verona road') and deploying no less than 58 cannons and 24 mortars. The Austrian forces were divided into three main groups: to the right, Joseph Anton von Simbschen occupied the heights of Colognola and the ravine of San Zeno, where his cavalry was massed; in the centre, General Count Heinrich von Bellegarde covered the Verona road, holding the entrenchments north of the road as well as Monte Rocca and Ponterotta, to the south of the road; the left was formed by Prince Heinrich XV of Reuss-Plauen's forces, which extended the Austrian line to Chiavighette and had the detached division of General Joseph Armand von Nordmann cover the Adige in front of Chiavica del Christo. Upon reconnoitering the Austrian position, Masséna drew up his plan. General Gardanne was to form the apex of the army, deploying his forces on both sides of the Verona road, supported by Partouneaux's reserve, Jean Louis Brigitte Espagne's cavalry and a part of Julien Augustin Joseph Mermet's dragoons. To the left Molitor's division would deploy close to Ca dell'Ara and would set out to take the heights of Colognola. To the right, Duhesme would march on Gombione in order to fall upon Caldiero, but he was ordered to make his move towards midday. Finally Jean-Antoine Verdier would cross the Adige at Perzacco and turn the enemy left, with the support of Charles Joseph de Pully's cavalry while the rest of Mermet's cavalry would ensure contact with Verdier. Masséna was planning to wait for Verdier's flanking maneuver before committing to a frontal attack, but Archduke Charles took the initiative, attacking on both flanks of the French army. Taking with him the cavalry he had available, Simbschen made the first move against Molitor, descending the slope of the Colognola heights and approaching Ca dell'Ara. On the other side of the battlefield, Nordmann moved forward too, following the river line of the Adige. Molitor moved forward himself and his forces clashed with Simbschen's, forcing the latter back up the slopes of the Colognola Alta. Just as the French were coming up the slope in order to assault that position, the Austrians were reinforced by troops sent by Bellegarde and thus could repulse the French attack, pushing them into the ravine. A second French assault would also fail and the fighting would continue throughout much of the day, with the Austrians remaining masters of the heights. In the centre, general Gardanne belatedly formed his men and painstakingly fought his way up towards Caldiero against a determined Bellegarde. Gardanne's first attempt failed and he was forced to fall back on Rotta, where he was immediately reinforced by Partounneaux and d'Espagne. With his force thus augmented, Gardanne moved forward again and this time the French managed to take the vital position of Caldiero. A furious Austrian counterattack regained the position only to see Gardanne receive further reinforcements, one of Duhesme's brigades, which helped retake Caldiero. Bellegarde reformed his men for another counterattack, which he led in cooperation with Reuss-Plauen's forces, which had just come up as reinforcements. It took a considerable effort from the combined forces of Bellegarde and Reuss-Plauen to drive the French out of Caldiero, but Gardanne sounded the charge and regained control of the village after fierce hand-to-hand combat. The Austrians finally evacuated the position and the exhausted French drove them out and then fell back to the relative safety of the village. 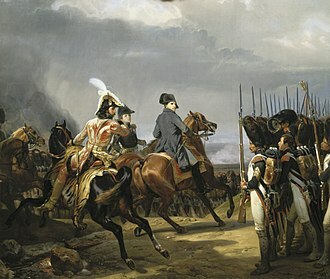 On the French right, general Duhesme moved early against the forces of prince Reuss-Plauen and moved his first brigade under François Goullus against the Austrians at Gombione. However, Duhesme saw the situation on his left rapidly deteriorating and was thus forced to send Mathieu Herbin's brigade in support of Gardanne's assault of Caldiero. While Herbin's brigade would be in the thick of the fighting until nightfall, Goullus' would spend the day covering the position at Gombione. To the extreme right, Verdier was operating the flanking maneuver as ordered, when he learned that Davidovich had crossed the Adige at Bonavigo and was on the right bank with a part of his troops. Verdier promptly abandoned his initial plan of crossing at Perzacco and instead decided to cross the river right away at Zevio. However, instead of striking at the back of Nordmann's force, as he had hoped Verdier found himself facing the bulk of Nordmann's troops, which soon forced the French back across the river. As night fell, combat ceased, with the Austrians already disengaged in most sectors of the battlefield. Archduke Charles decided against renewing battle the next day and began pulling out during the night. Both sides took heavy casualties, with the French losing only slightly fewer men than the Austrians, around 3,700 to 4,200. The French also lost colonel Julliac de Manelle of the 2nd Foot Artillery Regiment, who was mortally wounded during the battle. Some vicious fighting involved the French 5th Line Infantry Regiment, which almost lost two of its eagles. A second source gives Austrian losses as 5,700 and notes that Charles claimed to have inflicted 8,000 casualties on the French. A third source puts Austrian losses higher than 5,500 and says that the French under-reported their casualties as 2,000 when they must have been at least 5,000. On 30 October, as a result of the defeat at Caldiero, the Austrians also lost a further 5,000 men and 70 officers (among which there were three superior officers) with their weapons and effects. These men were stationed at Cara Albertini under the command of General Hillinger and were forced to surrender. Although the French had agreed to release the prisoners, the 5,000 men would not be released. Two authorities put Hillinger's disaster on 2 November and gave Austrian losses as 400 killed and wounded and 1,800 captured. Another source gives no casualties or date for the action but wrote that Hillinger was "annihilated". Archduke Charles began his retreat on the morning of 1 November, leaving a rearguard under Frimont to delay the French. Frimont's mixed brigade, consisting of four battalions and 12 squadrons, was only lightly engaged in the battle. Reinforced by infantry and an additional cavalry regiment, the rear guard put up a lively fight when pressed by d'Espagne's cavalry and the 22nd Light Infantry Regiment. Bellegarde, Rosenberg, and Reuss fell back to Vicenza while Davidovich's corps withdrew to Padua. Hoping to create trouble in Massena's rear, Charles ordered Davidiovich to reinforce the Venice garrison with 12 battalions. Unknown to Charles, Laurent de Gouvion Saint-Cyr's 8,700-man Italian division was marching northeast from central Italy. When it arrived near Venice, Saint-Cyr had sufficient strength to blockade the port and prevent the Austrian garrison from harassing Massena's communications. 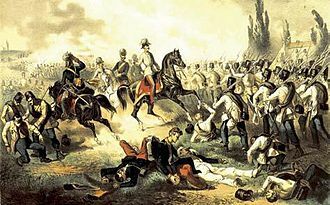 Archduke Charles steadily retreated, fighting a rear guard action at San Pietro in Gu near the Brenta River on 4 November in which one battalion of the Kreutzer Grenz Infantry Regiment Nr. 5 was destroyed by Molitor's division. Another clash occurred at Valvasone, east of the Tagliamento River on 11 November, where Charles fended off the French pursuit. During the withdrawal, d'Espagne trailed the Austrians with his own light cavalry division, Antoine Digonet's brigade of Verdier's division, Seras' infantry division, and Pully's cuirassiers. D'Espagne managed the pursuit effectively, making Charles believe that he was being closely followed. In fact, Masséna's main body was a three-day march behind the Austrians. Charles crossed the Isonzo River on 13 November. Karl von Vincent held off Molitor's attempt to cross the Isonzo River at Gradisca d'Isonzo on 16 November. At the beginning of the war, Archduke John of Austria was assigned to command the army in the Tyrol and the Vorarlberg. He was directed to detach forces under Franz Jellacic and Franz Xavier von Auffenberg to the Danube army. Auffenberg's division was mauled at the Battle of Wertingen and later surrendered at the Battle of Ulm. Jellacic was required to guard the south flank of the Danube army near Lake Constance. Marshal Pierre Augereau's VII Corps ran him to earth in the Vorarlberg. Jellacic surrendered with his infantry on 14 November in the Capitulation of Dornbirn, his cavalry having gotten away. Another brigade of the Tyrol army under Prince Louis Victor Rohan-Guéméné became separated in the retreat and slipped away to the south where it made a dash for Venice. On 24 November Rohan's 4,400 troops were caught between the divisions of Jean Reynier and Saint-Cyr at the Battle of Castelfranco Veneto and forced to surrender. 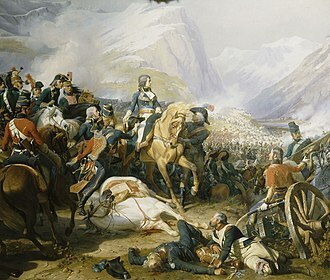 John managed to escape to the east with about 20,000 soldiers and fought a successful rear guard action against Nicolas Bernard Guiot de Lacour's dragoons near the upper Isonzo at Bovec on 19 November 1805. Charles hoped to march northeast to Villach for an early junction with his brother, Archduke John. However, he heard that some of Napoleon's troops were moving in his direction from the Danube valley. Marshal Michel Ney's VI Corps was repulsed at Scharnitz on 4 November with 800 casualties. However, that day, another brigade broke through a pass farther west at Leutasch, capturing about 600 Austrian line infantry. At Weyer on 7 November, Auguste Marmont's II Corps overtook and captured two battalions belonging to Maximilian, Count of Merveldt's corps. Farther east on the following day, Louis Davout's III Corps advance guard crushed Merveldt's column at the Battle of Mariazell. Ney occupied Innsbruck on 7 November and Marmont was heading for Leoben in Styria. Armed with this new information, Charles instead directed his troops' march on a more easterly path toward Ljubljana (Laibach). Massena suspended his pursuit of Charles on 16 November. Archdukes Charles and John joined forces near Maribor (Marburg an der Drau) on 26 November. 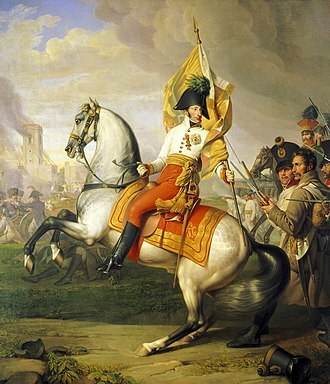 Though he now had an army numbering 85,000, Charles elected not to make a thrust at Vienna by attacking Marmont. Instead, he "moved rather slowly" according to historian Gunther E. Rothenberg. Charles pitched camp on the Mur River until 2 December when he withdrew into Hungary. By the time he reached Körmend on 6 December, the Battle of Austerlitz had been fought, ending in a decisive French victory. Even after his great victory, Emperor Napoleon considered Archduke Charles' large army a threat. Accordingly, he directed Massena to reorganize his army as the VIII Corps, sweep east, and send Mermet's and Pully's heavy cavalry to Graz. Marmont massed at Graz with the II Corps while Ney reached Klagenfurt with his VI Corps. Napoleon stationed Marshal Davout's III Corps at Bratislava (Pressburg) and Marshal Nicolas Soult's IV Corps south of Vienna. Charles' army was completely boxed in. 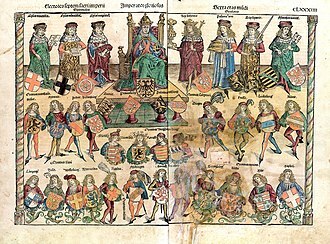 On 26 December, the Treaty of Pressburg was signed, ending the conflict. The battle of Caldiero was thus a significant strategical victory for the French because it allowed them to closely follow the Austrian army, continually harassing it in a number of skirmishes, as it was falling back towards inner Austria. Masséna would thus delay Charles, preventing him from joining the army of the Danube, which would greatly influence the outcome of the war. Historians disagree on whether Caldiero was a French tactical victory, an Austrian tactical victory, or a draw. Alain Pigeard, whose work is a major source for this article, rates the engagement as a French victory. Digby Smith calls the battle a "drawn match" while Frederick C. Schneid says it was "indecisive". Gunther E. Rothenberg writes that Caldiero was, "Austria's solitary military success in this war", although he was aware that the French historian Adolphe Thiers considered the battle to be a French victory. Thiers, L. A. Histoire du Consulate et de l'Empire, vol. VI. Paris, 1845–1862. ^ Smith, 209. Smith writes that the battle lasted from 29 to 31 October. ^ Smith, 210. Smith differed from Rothenberg only in giving 400 killed and listing no wounded, but this may be a misprint. It took place on 4 November 1805 off Cape Ortegal, in north-west Spain and saw Captain Sir Richard Strachan defeat and capture a French squadron under Rear-Admiral Pierre Dumanoir le Pelley. It is sometimes known as Strachans Action, Dumanoir had commanded the van of the line at Trafalgar, and had managed to escape the battle having suffered relatively little damage. On his journey he encountered two British frigates but drove them off, but shortly afterwards came across a single British frigate, the frigate led Dumanoir within range of a British squadron under Strachan, who was patrolling the area in search of a different French squadron. Strachan immediately gave chase, while Dumanoir fled from the force he had been lured towards. Strachans squadron took time to form up, but he was able to use the attached to it to harass and slow the French. There followed several hours of fighting, before Strachan was able to outmanoeuvre his opponent and double his line with frigates. The French ships were overwhelmed and forced to surrender. All four ships were back to Britain as prizes and commissioned into the Navy. Strachan and his men were rewarded by a public who viewed the successful outcome as completing Nelsons victory at Trafalgar. Four French ships of the line stationed towards the head of the combined fleets line escaped the Battle of Trafalgar under Rear-Admiral Pierre Dumanoir le Pelley, pelleys initial intention was to carry out Villeneuves original orders, and make for Toulon. The day after the battle he changed his mind, remembering that a substantial British squadron under Rear-Admiral Thomas Louis was patrolling the straits and his squadron represented a still-considerable force, having suffered only slight damage at Trafalgar. In escaping from Trafalgar Dumanoirs flagship, Formidable had jettisoned twelve 12-pounder guns from her quarterdeck in order to lighten her load, Dumanoir doubled Cape St Vincent on 29 October and made for Île-dAix, entering the Bay of Biscay on 2 November. There were a number of British ships and squadrons already in the bay, zacharie Allemand, commander of the Rochefort squadron, had sailed from the port in July 1805, and was currently cruising in the Atlantic, raiding British shipping. It established British rule in South Africa, which was to have many ramifications for the region during the nineteenth and twentieth centuries. A bi-centennial commemoration was held in January 2006, the battle was an incident in Europes Napoleonic Wars. At that time, the Cape Colony belonged to the Batavian Republic, because the sea route around the Cape was important to the British, they decided to seize the colony in order to prevent it—and the sea route—from coming under French control. A British fleet was despatched to the Cape in July 1805, the colony was governed by Lieutenant General Jan Willem Janssens, who was commander-in-chief of its military forces. The forces were small and of quality, and included foreign units hired by the Batavian government. They were backed up by local militia units, the first British warship reached the Cape on Christmas Eve 1805, and attacked two supply ships off the Cape Peninsula. Janssens placed his garrison on alert, when the main fleet sailed into Table Bay on 4 January 1806, he mobilised the garrison, declared martial law, and called up the militia. After a delay caused by rough seas, two British infantry brigades, under the command of Lt Gen Sir David Baird, landed at Melkbosstrand, north of Cape Town, Janssens moved his forces to intercept them. He had decided that victory could be considered impossible, but the honour of the fatherland demanded a fight and his intention was to attack the British on the beach and to withdraw to the interior, where he hoped to hold out until the French troopships arrived. Janssens halted and formed a line across the veld, the battle began at sunrise, with exchanges of artillery fire. These were followed by an advance by Janssenss militia cavalry, one of Janssenss hired foreign units, in the centre of his line and ran from the field. A British bayonet charge disposed of the units on Janssenss right flank, Janssens began the battle with 2,049 troops, and lost 353 in casualties and desertions. Baird began the battle with 5,399 men, and had 212 casualties, from Blaauwberg, Janssens moved inland to a farm in the Tygerberg area, and from there his troops moved to the Elands Kloof in the Hottentots Holland Mountains, about 50km from Cape Town. The Battle of Austerlitz, known as the Battle of the Three Emperors, was one of the most important and decisive engagements of the Napoleonic Wars. The battle occurred near the town of Austerlitz in the Austrian Empire, Austerlitz brought the War of the Third Coalition to a rapid end, with the Treaty of Pressburg signed by the Austrians in the month. The battle is cited as a tactical masterpiece, in the same league as other historic engagements like Cannae or Arbela. 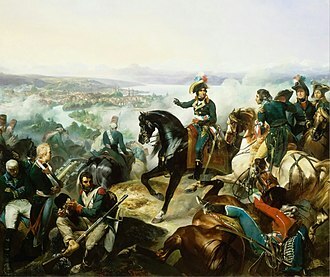 After eliminating an Austrian army during the Ulm Campaign, French forces managed to capture Vienna in November 1805, the Austrians avoided further conflict until the arrival of the Russians bolstered Allied numbers. Napoleon sent his army north in pursuit of the Allies, and he deployed the French army below the Pratzen Heights and deliberately weakened his right flank, enticing the Allies to launch a major assault there in the hopes of rolling up the whole French line. A forced march from Vienna by Marshal Davout and his III Corps plugged the gap left by Napoleon just in time. Meanwhile, the heavy Allied deployment against the French right weakened the allied center on the Pratzen Heights, with the Allied center demolished, the French swept through both enemy flanks and sent the Allies fleeing chaotically, capturing thousands of prisoners in the process. The Allied disaster significantly shook the faith of Emperor Francis in the British-led war effort and Austria agreed to an armistice immediately and the Treaty of Pressburg followed shortly after, on 26 December. Pressburg took Austria out of both the war and the Coalition while reinforcing the earlier treaties of Campo Formio and of Lunéville between the two powers, the treaty confirmed the Austrian loss of lands in Italy and Bavaria to France, and in Germany to Napoleons German allies. It imposed an indemnity of 40 million francs on the defeated Habsburgs and allowed the fleeing Russian troops free passage through hostile territories and back to their home soil. Critically, victory at Austerlitz permitted the creation of the Confederation of the Rhine and these achievements, did not establish a lasting peace on the continent. Prussian worries about growing French influence in Central Europe sparked the War of the Fourth Coalition in 1806, Europe had been in turmoil since the start of the French Revolutionary Wars in 1792. 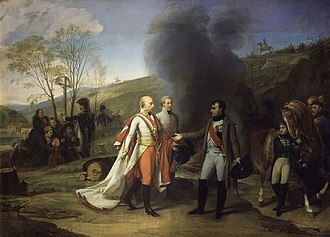 In 1797, after five years of war, the French Republic subdued the First Coalition, an alliance of Austria, Great Britain, Spain, in March 1802, France and Britain agreed to end hostilities under the Treaty of Amiens. For the first time in ten years, all of Europe was at peace, but many problems persisted between the two sides, making implementation of the treaty increasingly difficult. The British government resented having to return the Cape Colony and most of the Dutch West Indian islands to the Batavian Republic, Napoleon was angry that British troops had not evacuated the island of Malta. The tense situation only worsened when Napoleon sent a force to crush the Haitian Revolution. 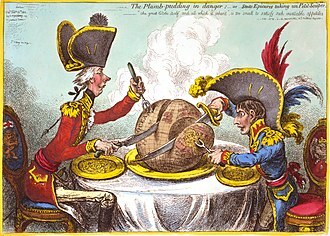 In May 1803, Britain declared war on France, in December 1804, an Anglo-Swedish agreement led to the creation of the Third Coalition. French attempts to invade Ireland in order to destabilise the United Kingdom or as a stepping-stone to Great Britain had already occurred in 1796. From 1803 to 1805 a new army of 200,000 men, known as the Armée des côtes de lOcéan or the Armée dAngleterre, was gathered and trained at camps at Boulogne and Montreuil. A large National Flotilla of invasion barges was built in Channel ports along the coasts of France and the Netherlands, right from Étaples to Flushing, and gathered at Boulogne. This flotilla was initially under the command of Eustache Bruix, but he soon had to return to Paris. A medal was struck and a column erected at Boulogne to celebrate the invasions anticipated success. Though an aerial invasion proved a dead-end, the prospect of one captured the minds of the British print media and public. These preparations were financed by the Louisiana Purchase of 1803, whereby France ceded her huge North American territories to the United States in return for a payment of 50 million French francs, the entire amount was spent on the projected invasion. The United States had partly funded the purchase by means of a loan from Baring Brothers, for his planned subsidiary invasion of Ireland Napoleon had formed an Irish Legion in 1803, to create an indigenous part of his 20, 000-man Corps dIrelande. Though the fleet-test was unsuccessful, Britain continued to be on alert with defences from invasion. With the flotilla and encampment at Boulogne visible from the south coast of England, Martello towers were built along the English coast to counter the invasion threat, in the areas closest to France new fortifications were built and existing ones initiated against the 1779 invasion completed or improved. Before the flotilla could cross, Napoleon had to gain control of the English Channel – in his own words, Let us be masters of the Channel for six hours. He envisaged doing this by having the Brest and Toulon Franco–Spanish fleets break out from the British blockade and this, he hoped, would draw off the Royal Navy force under William Cornwallis defending the Western Approaches. The Battle of Maida on 4 July 1806 was a battle between the British expeditionary force and a First French Empire division outside the town of Maida in Calabria, Italy during the Napoleonic Wars. John Stuart led 5,200 British troops to victory over about 6,000 French soldiers under Jean Reynier, Maida is located in the toe of Italy, about 30 kilometres west of Catanzaro. In early 1806, the French invaded and overran the Kingdom of Naples, forcing King Ferdinand I of the Two Sicilies, the Calabrians revolted against their new conquerors and Stuarts expeditionary force tried to exploit the unrest by raiding the coast. While ashore, the British encountered Reyniers division and the two engaged in battle. 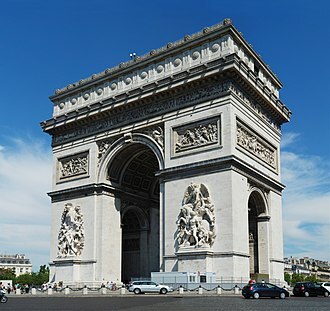 The 19th-century historians presented the action as a fight between French columns and British lines. 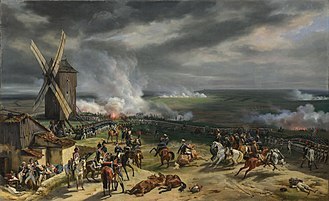 This view of the battle has been called into doubt by at least one modern historian who argued that the French deployed into lines, nobody questions the result which was a one-sided British tactical victory. After the battle, Stuart captured some isolated garrisons in Calabria and was transported back to Sicily by the Royal Navy, Two weeks after the battle, the city of Gaeta fell to the French after a long siege. While Stuart succeeded in preventing a French invasion of Sicily and sustained the revolt in Calabria, the Neapolitan-Sicilian army was crushed at the Battle of Campo Tenese, forcing Ferdinand to flee to Sicily and concede the Neapolitan crown to the French. 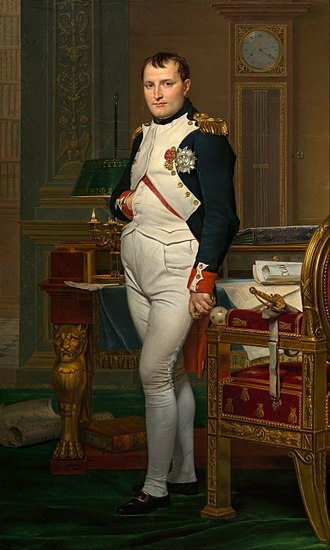 Napoleon installed his brother Joseph Bonaparte on the Neapolitan throne, by July 1806, the French had crushed all Neapolitan resistance except for the uprising in Calabria and a garrison at Gaeta. There, André Massénas force become embroiled in a lengthy siege, a British force of over 5,000 men commanded by Major-General John Stuart sailed from Messina on 27 June, landing in the Gulf of SantEufemia three days later. At the same time a French force under the command of General Jean Reynier, the exact size of the French force is unknown. 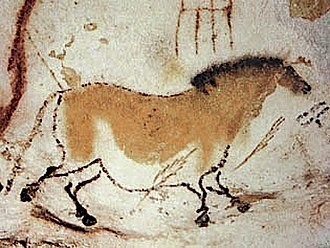 Contemporary French sources range between 5050 and 5450, some historians have suggested a force as large as 6400 but the most recent estimates are closer to 5400. On the morning of 4 July, Reynier broke camp and advanced toward level terrain along the shallow Lomato River, believing his army superior in numbers, Stuart marched toward the same location nearly parallel to the French column. As both forces deployed from march column, they ended up in echelon formation, on the French side, the left flank was leading, while on the British side the right flank was leading. On the French left, General of Brigade Louis Fursy Henri Compère was echeloned forward, with the 1st Light Infantry Regiment on the left and the 42nd Line Infantry Regiment to its right. The center, commanded by General of Brigade Luigi Gaspare Peyri, on the right flank, General of Brigade Antoine Digonet trailed the other two formations. Digonets command comprised the 23rd Light Infantry and 9th Chasseurs à Cheval Regiments, opposing the French was Colonel James Kempts Advanced Guard on the British right flank, echeloned forward. Separating from the squadron under Contre-Admiral Jean-Baptiste Willaumez in the mid-Atlantic, Leissègues sailed for the Caribbean. By the time French lookouts at Santo Domingo had spotted Duckworth approaching from the southeast, sailing with the wind westwards along the coast, Leissègues formed a line of battle to meet the approaching British squadron, which had split into two divisions. Although his divisions separated during the approach, Duckworths lead ships remained in a formation and successfully engaged the head of the French line. Under pressure, the French squadron broke apart with the British isolating and capturing three ships before concentrating on the main combat around the French flagship, severely damaged and surrounded, Leissègues drove Impérial ashore to avoid capture. The remaining French ship of the line, Diomède, followed him, although most of the crew of these ships scrambled ashore, British boarding parties captured both vessels and set them on fire. The only French ships to escape the battle were three smaller warships, which Duckworths squadron had ignored, they returned to France. Willaumezs squadron remained at large in the Atlantic until July 1806, of the 11 ships that set out in December 1805, just four eventually returned to France. 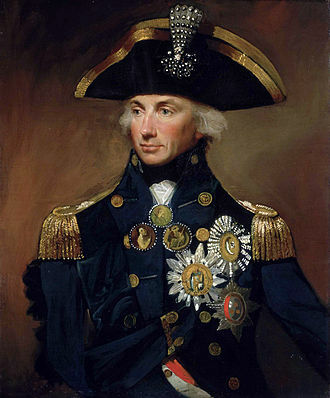 The crews of the British squadron were decorated for their success, with the exception of Duckworth, by leaving his post off Cadiz he had provoked the anger of Vice-Admiral Lord Collingwood, commander in the Mediterranean, only his victory enabled Duckworth to escape a court martial. 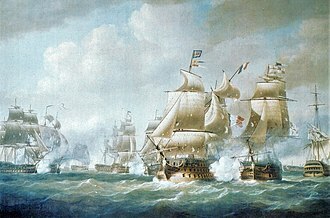 The battle of San Domingo was the last fleet engagement of the war between French and British capital ships in open water, the Royal Navys dominance off every French port made the risks involved in putting to sea insurmountable. The only subsequent breakout attempt, by the Brest fleet in 1809, barham believed that the French, having suffered such heavy losses, would be unable and unwilling to launch a major offensive in the Atlantic until after the winter. However, he had miscalculated the strength of the fleet at Brest, the Brest fleet had not been engaged in the 1805 campaign and was therefore intact. Taking advantage of the withdrawal of the British blockade, Emperor Napoleon ordered two squadrons to put to sea with orders to raid the British trade routes crossed the Atlantic. These forces were to inflict as much damage to Britain as possible without engaging an equivalent British naval squadron and risking defeat. The cruise was expected to last as long as 14 months, in November 1805, reports reached Duckworth of a French squadron operating against British convoys off the Savage Islands between Madeira and the Canary Islands. This squadron, which belonged to Contre-Admiral Zacharie Allemand, had left France in July 1805, immediately sailing to investigate, Duckworth abandoned Cadiz, leaving just two frigates to watch the Allied fleet at anchor. Passing the Savage and Canary Islands, Duckworth continued to the Cape Verde Islands before conceding that the French had escaped him, Allemand was already far to the north. He eventually returned to France without incident on 23 December, during his return journey to Cadiz, on 23 December Duckworth encountered HMS Arethusa under Captain Charles Brisbane escorting a small group of merchant ships. The river sources near the Reschen Pass close to the borders with Austria and Switzerland above the Inn valley. It flows through the artificial alpine Lake Reschen, the lake is known for the church tower that marks the site of the former village of Alt Graun, it was evacuated and flooded in 1953 after the dam was finished. Near Glurns, the Rom river joins from the Swiss Val Müstair, the Adige runs eastbound through the Vinschgau to Merano, where it is met by the Passer river from the north. The section between Merano and Bolzano, is called Etschtal, meaning Adige Valley, the Chiusa di Salorno narrows at Salorno mark the southernmost part of the predominantly German-speaking province of South Tyrol. The Adige was mentioned in the Lied der Deutschen of 1841 as the border of the German language area. In 1922 Germany adopted the song as its anthem, although by that time Italy had taken control of all of the Adige. 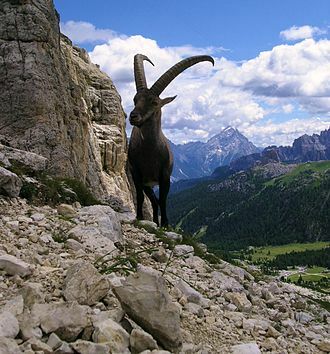 Near Trento, the Avisio and Fersina rivers join, the Adige crosses Trentino and Veneto, flowing past the town of Rovereto, the Lagarina Valley, the cities of Verona and Adria and the north-eastern part of the Po Plain into the Adriatic Sea. Vukassovich led the rear guard at the Battle of Lodi. Battle of Wagram by Emil Adam. Vukassovich was fatally wounded in the Wagram bloodbath. Napoleon Crossing the Alps by Jacques-Louis David. Jean Reynier, the French commander.